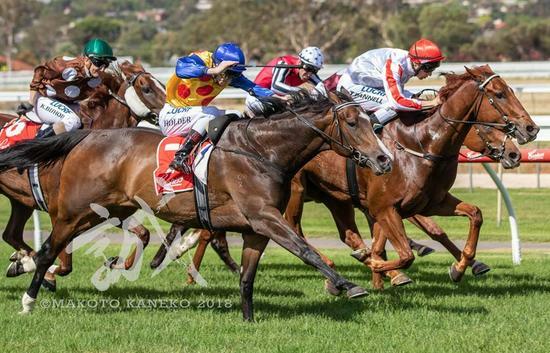 Alaskan Jade, ridden by Jason Holder, showed an impressive turn of foot at yesterdays Gawler Metropolitan meeting. Coming from last she flew down the outside to win the Prince Albert Hotel Gawler Hcp. It was also her second win in a row since returning from a spell and added to her already exceptional record. Earlier in the day Mysticano was unlucky in running 2nd. Given a very good ride by Dom Tourneur he was strong at the finish and would've got the result in another stride going down by the narrowest of margins.